Drink a toast with your favorite Gotham character! 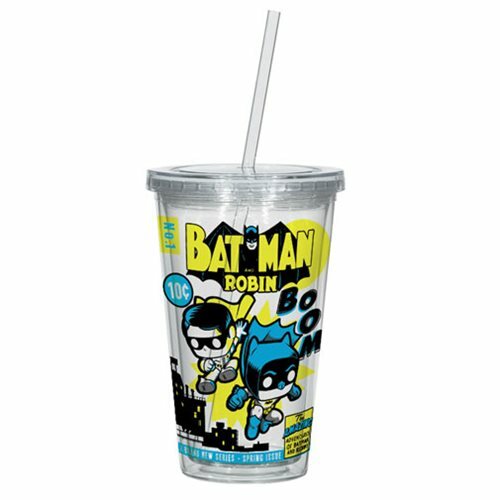 The Batman and Robin Comic Travel Cup features a Pop! Vinyl-ized image of a Batman and Robin comic cover. This BPA-Free travel cup is stylish and made from acrylic. Holds up to 16 fluid ounces (473ML). Measures approximately 6 1/4-inches tall. Ages 14 and up.